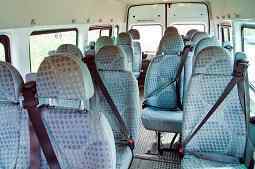 Wigan Minibus and Coach hire is a successful business that has been running for many years. We provide invaluable service in and around the Wigan area. Anyone who needs a minibus has the chance to use our services. 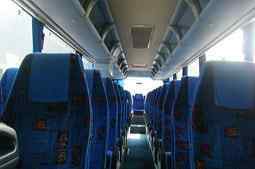 There are many reasons why you might want to use minibus hire in Wigan to travel through the town. Perhaps you are organizing a hen night, school trip, birthday party or even a family day out. If you want a quote for your needs, it’s an easy process and you can do it right now. Simply enter your details on the online enquiry form that you can find here on www.coachhirewigan.co.uk. We will get back to you instantly while similar companies will usually take days to give you a quote. We know that most people are on a tight budget and want a good deal, which is why we will always give you our best possible price. Wigan is a town found in Greater Manchester, England. It has a population of around 103,000 inhabitants and there is lots to see and do in the area. If you want to have a relaxing time in Wigan, there are a number of places that would be appealing to you. ‘Haigh Hall Country Park’ is a beautiful location with walking trails, a golf course and even a cafe where you can stop off for a bite to eat. ‘Fairy Glen’ is a woodland park and it is a big hit with families who are looking for a cheap but fun day out. Why not enjoy a picnic in the scenic area? Segways are great little machines that you can ride on and ‘Ride Segway’ is a company in Wigan. You will be assigned an instructor who will help you learn how to ride the segway, they are great fun and actually popular amongst people who are celebrating their birthday in the town. You will actually be taken around the previously mentioned Haigh Hall Country Park, if you do use a segway with this company. If you want to see some amazing theatre productions at reasonable prices, then a trip to ‘Wigan Little Theatre’ is definitely in order. With an excellent array of shows and quality performances from talented actors/actresses, book your tickets today. If you are looking for a little more adventure during your time in Wigan, why not go for a day out at ‘Three Sisters Racing Circuit’? You can purchase and test drive some of the most amazing cars in the UK. Definitely a must for anyone interested in vehicles of the fast kind! There are some actually really interesting events happening in Wigan in the next months which are worth checking out. ‘What Rocks Beneath…’ is in ‘The Boulevard’ later this month. This is a few local bands playing their music for the locals and tourists in Wigan. There’s actually many similar events in this location during the coming year, so keep checking The Boulevard website for further details. There is also a food and craft fair in October at ‘Leigh Masonic hall’. This is always a popular event and best of all, admission is completely free. In terms of night-life, Wigan does not disappoint so it’s an amazing location if you are all out to party hard with your friends. Why not start the night off with something to eat at ‘Gallimore’s Fine Restaurant’ or ‘The Raj?’ Both serve amazing food depending on what your particular taste is. ‘Wigan Central’ is a pub in the town that is popular with locals and tourists alike. It’s a very traditional pub with a friendly atmosphere and quality drinks sold at reasonable prices. In terms of nightclubs, some popular ones include ‘Revolution Bar’ which is situated right in the town centre. This stylish bar has amazing cocktails and regular happy hours which makes it a must-go to location for those celebrating a hen/stag/birthday. ‘Jumping Jacks’ and ‘Reflex’ can be found on the same street and are also a big hit with those looking to have an amazing night out. Now that you have seen what’s on offer in the town that you are visiting, let’s take a further look at why we are the best company for minibus hire in Wigan. 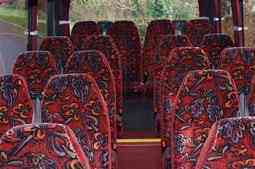 At www.coachhirewigan.co.uk, we are well known for the great service that we provide our customers with. We have a large fleet available, so you can choose your ideal vehicle depending on how many people are travelling with you. From an 8 seat mini bus, a 32 seat coach and everything in between. Our vehicles are sleek and sophisticated, so you’ll definitely be travelling in style. We have positive testimonials from customers all around the country who are pleased with our services and return to us again and again. At Wigan coach hire, we will always do our best to offer you competitive prices for the best service around. Our vehicles of course come with a qualified and professional driver, who can take you wherever you want to go for as long as you’ve hired the mini bus for. If you are visiting the area of Wigan for whatever reason, a reliable transport method will make your stay even better. What are you waiting for? Get in touch with us today via our inquiry form at www.coachhirewigan.co.uk and start off the process of booking Wigan coach hire services.